Mortgage credit availability was higher in April according the Mortgage Bankers Association. Its index showed a 0.5 per cent increase, meaning that lending standards were looser than the month earlier. Of the four component indices, the Government MCAI saw the greatest easing (up 1.1 per cent over the month), followed by the Jumbo MCAI (up 0.8 per cent), and the Conforming MCAI (up 0.2 per cent). The Conventional MCAI decreased over the month (down 0.6 per cent). Mike Fratantoni, MBA's chief economist noted: "The increase was driven by new offerings of FHA's 203K home improvement program, new VA offerings, and new jumbo products. The increase was partially offset by some investors tightening underwriting criteria on conventional cash out offerings." 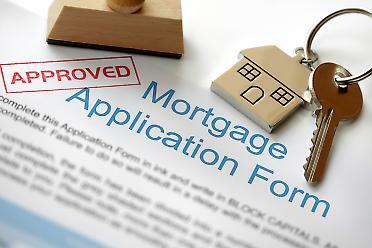 Experts do not believe that easier availability of mortgages will convert to more home sales. A survey by Zillow found that most experts say that mortgages will be easier to get in the coming years however 44 per cent felt that with low wage growth and large debt levels many renters would not be able to make the move to homeownership. Asked about current lending restrictions just 7 per cent felt they were too lax, 47 per cent thought they were too restrictive and 46 per cent said they are about right. The 111 panelists say home prices will level off in the next few years with a 4.5 per cent increase this year falling to 3.6 per cent through 2019.